Successfully Added Bluetooth Handsfree Speaker Phone With LCD Display to your Shopping Cart. 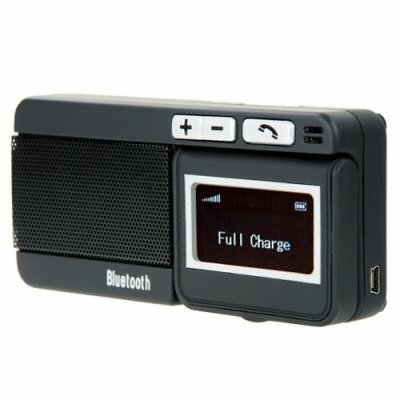 Bluetooth portable speakerphone with loud sound output and handy adjustable LCD display. This Bluetooth handsfree speaker system fits nicely on any desktop or in the car and has a solid feature set including the use of voice commands, a caller ID + status display, and long life battery. In addition, the front-side located built-in MIC makes it easy for the person on the other end to hear you. No more need for you to yell at the speaker or hear the question "what did you say?" anymore! Bluetooth handsfree speakerphone with display. Now you can work comfortably at your desk while making/receiving calls.